When I used to think about August 10th, I thought “I made it another year” and felt like I could exhale for a moment. 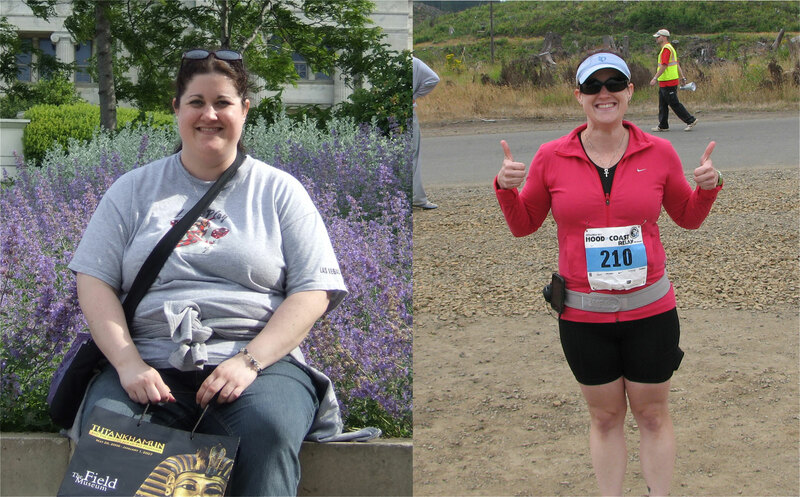 I’d successfully maintained my 100 pound weight loss for another 365 days! Those first few years were definitely challenging. I had some ups and downs with my weight and at the worst, gained about 15 pounds that took forever to lose again. But for the most part I always stayed around the same weight. This year is my 5 year anniversary of that magical date that I stepped on the scale at GOAL WEIGHT. If you’ve ever made goal weight, you know what that feeling is like. It’s a sense of pride, of wonder, of accomplishment, of sadness, of happiness…all sorts of emotions wrapped into one number on that scale. The feeling that is missing from that parade of emotions? RELIEF. 1. AWARENESS and ACCOUNTABILITY. I track my calories. Every day. I do take a break once in awhile; I tend to splurge a little more on vacations; I am always aware, though, what I am eating and if I’m going over board. 2. EXERCISE and PLANNING. I find ways to fit in exercise every day. On my rest days I might go for a walk during my lunch break at work. I plan my week’s worth of fitness ahead of time. I schedule my workouts on my Google calender and I stick to them. I can be flexible and move things around if something comes up but it’s very rare that I ever blow off a workout. Those things are key to losing weight and keeping it off. It sounds simple and easy, but it takes dedication and hard work. It takes commitment to YOURSELF and to your health to stay on the plan. I know that sounds overwhelming at first, but doing the changes in little stepping stones makes it more palatable. Now I am at a point that I crave healthy foods and feel like crap if I go too long eating “bad” foods and not fresh fruits and veggies. I also crave exercise. It’s my stress reliever. It’s my “me” time and I always feel better after a workout! What was most astounding with my journey was the fact that I changed as a person. I became very active and grew to love activities like hiking, snowshoeing, running and biking. In fact, when injury sidelined me from those activities, I fell into a depression because I missed doing them. I never would have guessed 10 years ago, that that would be me. After 5 years of keeping off 100 pounds, I’m at a place now where I feel like that old me is dead and gone. It doesn’t feel real. It feels so alien and so far away. Now, most people who know me or meet me, never guess that I used to be 250 pounds. They are usually shocked if they find out. THIS is me. This present person. I started this blog 3 1/2 years ago because I had a story to tell. I knew I could inspire some other people who were obese and depressed like I was and just looking for a little push, a little inspiration, to get started. My hope is that demonstrating a healthy lifestyle of moderation and fun fitness has made it seem attainable to you guys. YOU CAN DO THIS. I did it, you can too. So on this 5 year anniversary, I say thank you to all my readers! Marc recently posted..Onederland – You’re so vein! Lisa, I feel like food addictions are like all addictions. An alcoholic is said to never be cured. IT is on going awareness and it is hard. Many people have stories about how they lost weight and it seems like a celebration and then they go away- like so many stories of people on biggest loser, you find out later they put the weight back on. It is so fantastic that you share how you keep it off. So good to know it is hard work and on going. Thank you and congratulations! I am feeling the same way. I go through phases where it gets SO EASY and then I go through phases where I definitely struggle. I do believe this will be the way it is forever. 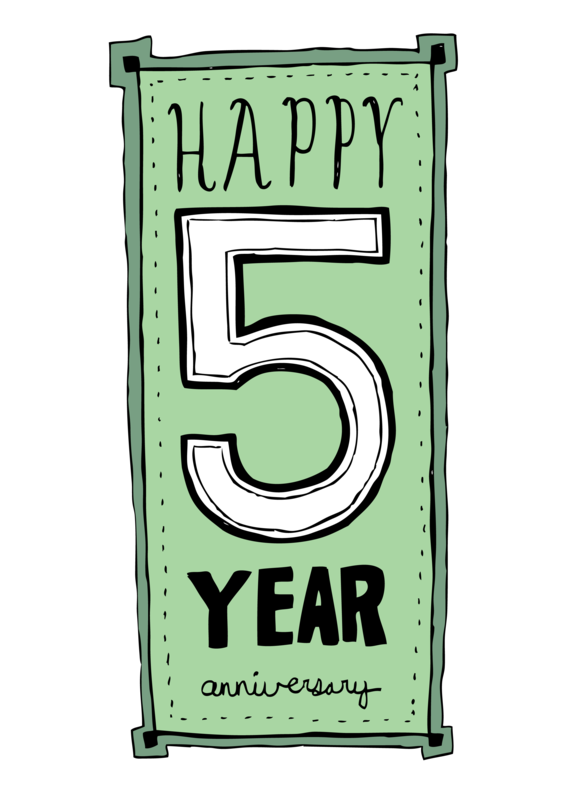 Congrats on 5 years of maintaining! It’s funny, since I started Insanity and planned all my workouts, not doing it was not an option. When I lost my original 70 pounds I never lost sight of the goal, even with WEEKS of plateaus – but in the end I lost 70 pounds in 14 months. What’s different I think this time around is that I am being consistent – day in – day out – nothing fancy. Eating the right food drinking water and moving. I know that by continuing to do this I’ll get to my goal again! 😀 Thanks for continuing to inspire Lisa! Consistency is key. With my injury this year, lots of people have asked me if I stopped working out. Nope. I still worked out 5 days a week, the fitness level just changed. I wanted to stay with my normal routine because time has shown me that consistency is what works. So instead of an intense spin class, I did yoga. Instead of running, I lifted weights. There was always SOMETHING I could do! I’ve only just discovered your blog a few months ago, and I’d like to say that you do in fact inspire me to lose weight and be healthy! Thank you for reading Jeff; I’m glad you’ve found some inspiration! Congratulations on maintaining your weight loss for 5 years! I can relate. I am an emotional eater too and the death of my grandfather when I was 17 was the start of my weight gain. I have to watch myself too. I just want to say congratulations! Cheers to you! This is the first time that I have left a comment, even though I have been a leng time reader. Congratulations on your 5 year anniversary. You have been an inspiration to me. Thanks for all that you do and for your sensible approach. Thank you for reading, James, I’m glad I was able to inspire you! Wow! You have such a great inspirational story. You are now such an encouragement to so many more. I have only known the present you, and you are living free. I love that about you as you portray that on your blog! Keeping weight off is hard work, but all of those ways you’ve changed should make it easier. I don’t track my food anymore, but I am very deliberate about my choices and have come to prefer the healthier choices. I prefer the healthier choices too. Congrats, Lisa!!! Total awesomeness- 5 years is a majorly significant goal. Keep up the good work. So fun to see your photos, travels and now your engagement. Whole other life- so fun. And yes, it definitely feels like a different life sometimes! What an accomplishment to make it to five years of health and happiness. It is so important to make time for yourself which is where I sometimes fail. As a mother, it can be extremely hard to find the time to exercise but not impossible. Congratulations Lisa! You are an inspiration to us all. And you know – blogs evolve into whatever you want them to be. They change just as we do! BTW I went to a street food festival today. Some of the top chefs/restaurants and in Auckland crowded into a huge, old shipping shed and used the bare minimum to create amazing, top quality street food. It was just as amazing as it sounds! I’m still on my journey but stories like yours are so inspirational that I hope you don’t stop blogging… ever! Congratulations on five years of your new life. Five years of my new life! Love it! Congratulations on FIVE years. You ROCK, Lisa. Keep going, keep believing in yourself, and don’t you dare quit sharing with us before the wedding! I read your blog all the time. I just don’t leave a comment, but wanted to on this occasion. BTW: Love the new comment format. Before, it was wayyy hard to get through. Now easy. Yay! Maybe there was an update on the plugin? I haven’t changed it…..